Markets managed to apply brakes on their early losses today, but the Sensex and the Nifty still moved in the red as investors braced for the final countdown to the GST launch. 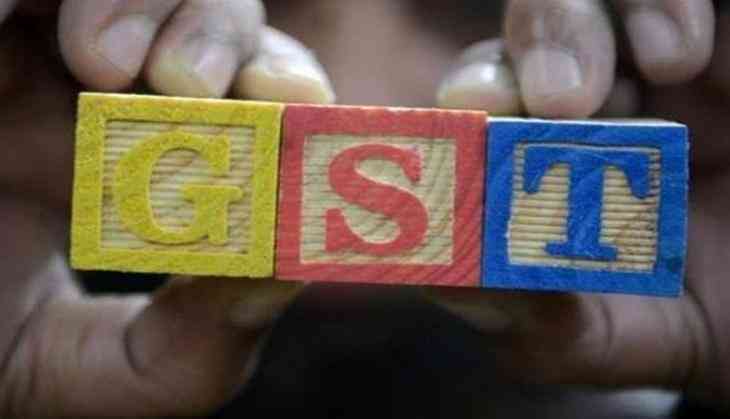 The landmark tax reform Goods and Services Tax (GST) is set for a mid-night launch today. Telecom, capital goods, realty and auto stocks wobbled amid sluggishness in global shares. The 30-share Sensex resumed lower before trading at 30,813.05 at 1125 hours, down 44.47 points, or 0.14 per cent. The NSE 50-share Nifty also fell by 18 points, or 0.19 per cent, at 9,486.10 at 1125 hours. L&T went down 2.29 per cent, Bharti Airtel 2.22 per cent, ICICI Bank 1.26 per cent and Tata Motors 1.23 per cent. The BSE mid-cap and small-cap indices declined by 0.04 per cent and 0.08 per cent, respectively. Foreign portfolio investors (FPIs) sold shares worth a net Rs 1,140.77 crore yesterday, as per provisional data. Domestic institutional investors (DIIs) bought shares worth a net Rs 600.23 crore yesterday. Asian stocks declined despite marginal improvement in China's manufacturing activity as select technology shares around the region got sold off.